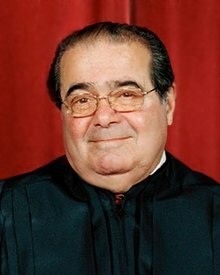 SCOTUS Justice Anton Scalia: Guns may be regulated. Video hosted by Fox News Channel’s website — Click here. Respecting Fox News Channel’s copyright, I won’t embed it. If you do click on the link, an advert will play first – Israel Survival Updates receives no revenue, nor compensation of any kind from that. It is not in ISU’s control what advert airs as well. The video presentation is just short of 24 minutes and is more than worth your time in viewing. Justice Antonin Scalia, one of the Supreme Court‘s most vocal and conservative justices, said on Sunday that the Second Amendment leaves room for U.S. legislatures to regulate guns, including menacing hand-held weapons. As an originalist scholar, Scalia looks to the text of the Constitution—which confirms the right to bear arms—but also the context of 18th-century history. “They had some limitations on the nature of arms that could be borne,” he told host Chris Wallace. What part of that has room ? Every day it becomes clearer there’s going to be only one way out from under. There will be a case. The left will make sure of it. It will be heard by SCOTUS on the first Monday in October – The first day of the next session and the first case heard of the day. Before November 6th 2012, the 2nd Amendment will more than likely either be invalidated or severely restricted, including states ordering ‘turn-in’s’. There’s your damn ‘October surprise’. Doesn’t matter what the Constitution says. Nor the Bill of Rights. I’ll state it here and now: If I’m wrong, I’ll shout it from the rooftops that I’m just a typical bitter clinger obsessed with my tin-foil hat being full of chemtrails (and NO, I don’t follow or like that maniac Jones). This entry was posted on Sunday, July 29th, 2012 at 12:33 and is filed under The Constitutional Watch, The Media, The Second Amendment To The Constitution Of The United States..	You can follow any responses to this entry through the RSS 2.0 feed. You can skip to the end and leave a response. Pinging is currently not allowed.